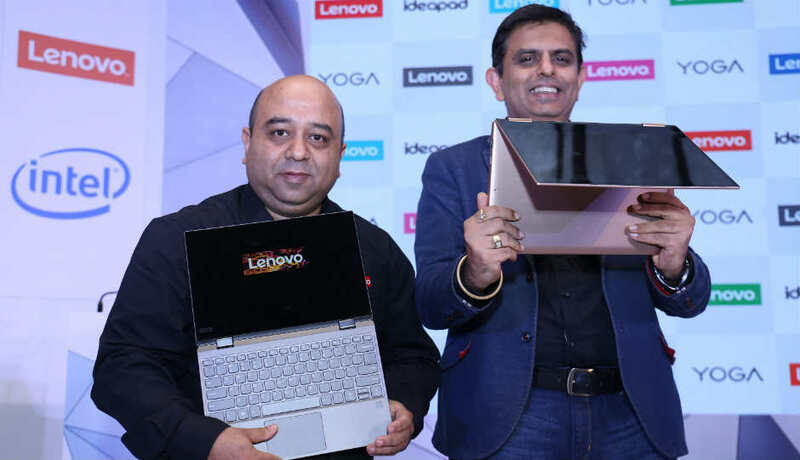 Currently being in full form, the Chinese tech major Lenovo recently gave 2 premium laptops to India. And now adding more to this, the company has launched the ultrathin Lenovo Ideapad 720s in the country. Let us have a glance at the specs of the device. The new Lenovo Ideapad 720s comes with 8 GB and 16 GB of DDR4 2400 MHz RAM and multiple options for internal memory including 128 GB PCIe SSD, 256 GB PCIe SSD, 512 GB PCIe SSD, and 1 TB PCIe SSD. The new device runs on 7th Generation Intel® Core™ i7-7700HQ Processor (6 MB Cache, Quad-Core, and a Turbo Boost up to 2.8 GHz) processor. In the section of ports, the new device has 2 x USB 3.0, 1 x USB 3.0 (Type-C), 1 x HDMI™, DisplayPort™, Microphone Jack, Audio Jack, and RJ 45 LAN. In addition to this, the device also has UHD (3840 x 2160) IPS for better graphics. The laptop also comes with a trial version of the Microsoft® Office. Furthermore, the new Lenovo Ideapad 720s device has various preloaded software including Power2Go (Blu-ray Disc™ / DVD), PowerDVD (Blu-ray Disc™ / DVD), Microsoft Office 2013 Trial, Lenovo Companion, Lenovo Nerve Sense, Magic Y Key, Lenovo OneKey Recovery, and Lenovo ID. Speaking about the battery, the 13-inch variant guarantees to give 9 hours of battery backup on a single charge. Whereas, the 14-inch variant guarantees to give 11 hours of battery backup on a single charge. The new Lenovo Ideapad 720s laptop comes in 13-inch and 14-inch variant. Both the variants have Multitouch feature with integrated camera. The screen resolution remains the same for both the versions. With of full HD IPS screen, both variants have a screen resolution of 1920 x 1080. Last but not the least, let us see the cost that comes with the laptop. The new Lenovo Ideapad 720s laptop has a price tag of Rs 74,850. The new Lenovo Ideapad 720s is a better alternative to the lately rolled out Yoga 720. Both of them almost offer the same features. But the Lenovo Ideapad 720s has an advantage of slim design over the Yoga 720.